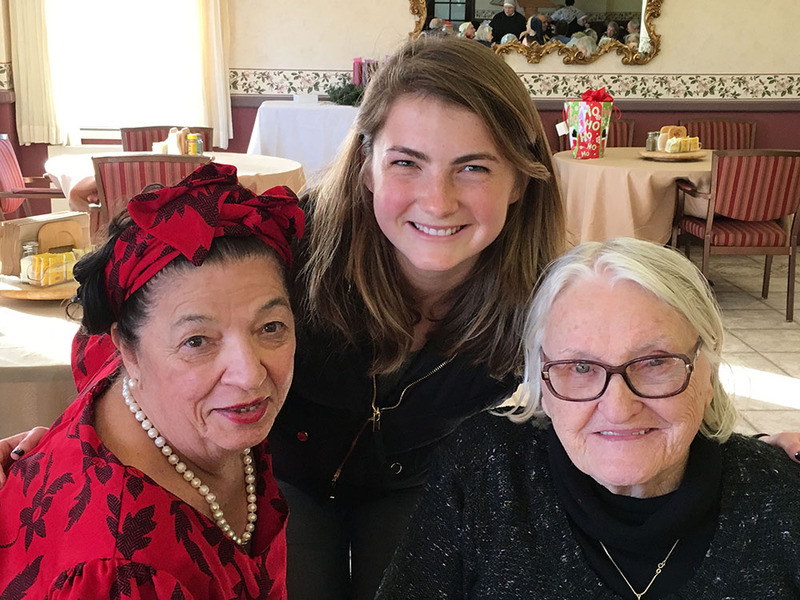 St. Anne’s has started The Youth for Elders program as an ongoing endeavor by the Little Sisters of the Poor to engage the youth of our community in learning more about caring for the elderly and learning from their legacy, while appreciating the value of giving. The program encompasses many facets of involvement in our mission of care. Fundraising: Fundraising often takes many forms. This year, students from several schools in the Bay Area collected much-needed personal hygiene items for our Residents. Another volunteer recently hosted an art show displaying her work from the past few years and donated all proceeds from the sale of her exhibit to St. Anne’s Home. 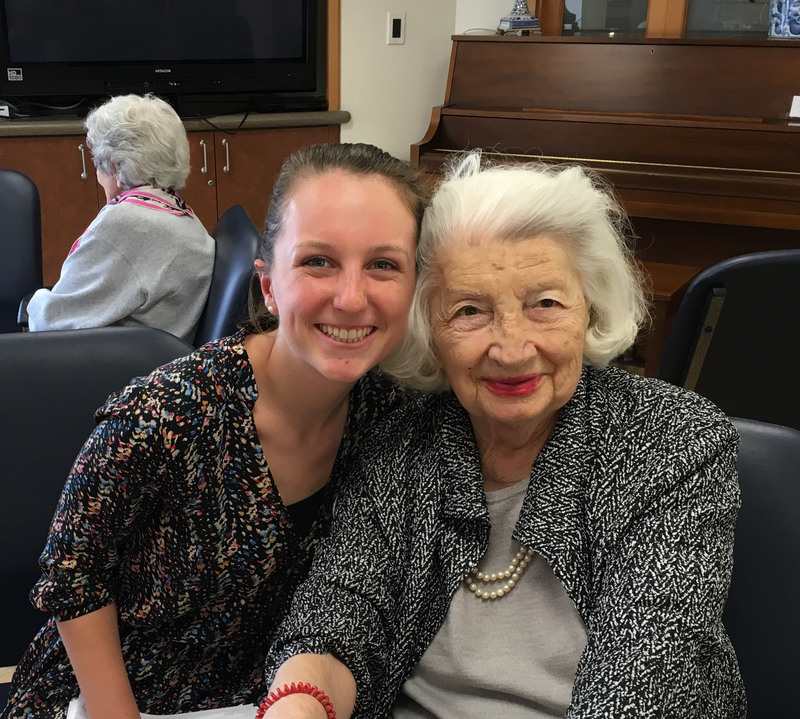 Volunteerism: Our youth volunteer program is geared to provide companionship to the elderly who benefit from the friendship of a regular visitor. Volunteers with musical talent often assist in the dining room by entertaining the Residents. Other volunteers help with regularly scheduled activities, such as bingo or craft-making. They also help with folding clothes or in the kitchen or with office duties. Visits: Children from local schools often visit St. Anne’s as a group. They attend Mass in our chapel, pray the rosary with Residents, and even entertain the Residents during the noon meal. "My experience as a volunteer at St. Anne’s has been a very positive one that I would not exchange for anything. I have been a volunteer for almost 3 years. The community at St. Anne’s is close knit, welcoming, and really one-of-a kind. Volunteering for the Little Sisters of the Poor has really opened my eyes and made me realize how important it is to give back to the community. It is like Mother Teresa once said, "We cannot do great things on this earth only small things with great love." "I have been volunteering at St. Anne’s for 3 years. My interaction with the Residents has allowed me to become friends with them and discover our common interests. The hardest challenge is to take in the loss of an elderly friend, but even though the Residents come and go, I truly treasure all our memories in my heart. With every visit, I learn something new that brings me to be the person I am today. I am grateful for this wonderful opportunity, and I really take pleasure in spending every moment I can with the elderly."